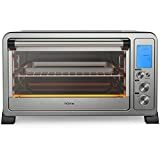 Why should you purchase a toaster oven? If you thought a toaster oven can only toast your bread, think again. Toaster ovens are actually much more than that. 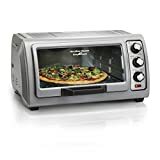 Whether you want to bake a pizza, heat your leftovers, defrost your veggies, or roast your meat and of course, toast your bread--a toaster oven can be used for all this. 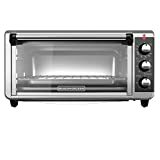 For modern homes with dual income families, a toaster oven can be no less than a blessing. 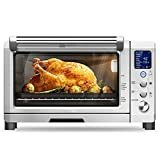 Let's look at some features of a good toaster oven—something which can be a big time-saver in your kitchen. What should you consider when buying a toaster oven? Check for intuitive controls: It is good to have several options and controls on your toaster oven. But sometimes too many options can confuse you, particularly if you are running short on time. 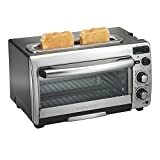 In this regard, it would be best to have controls that are rather straightforward and would not require you to spend a lot of time reading through the manual to understand how to use the basic functions of the toaster. Look for necessary preset options: This is again an option that will help you save a lot of time. 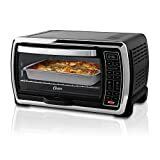 An oven that has preset options for cooking basic and common meals like potatoes or for defrosting vegetables can be ideal. 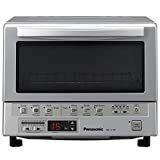 Check for audible alerts: If you are someone who is a little forgetful, or someone who tends to leave the kitchen while things are cooking in the oven, you definitely should look for an oven that has a loud alert to tell you when the food is ready. 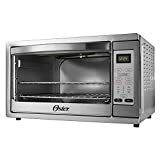 Check for important accessories: Since a toaster oven can perform various functions other than toasting, the ideal toaster oven is one that has various accessories such as a baking tray, a drip pan and the like.